There is a significant need to have open, honest discussions about mental illness. In every sense of the word, mental health illness is a pandemic. In past Hope By The Sea posts, we have brought the fact that depression alone affects more than 300 million people worldwide to our reader's attention. The World Health Organization (WHO) call depression the number one cause of poor health on the planet. Despite the pervasive and insidious nature of mental illness, few people are willing to speak about their struggles. Let alone reach out for assistance. 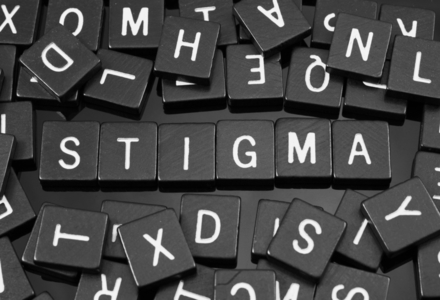 Without any doubt, stigma is the culprit behind the ever-present silence around mental health conditions. The stigma needs to stop, when men and women struggle in darkness, the outcome is usually dire. Here in the United States, there exist myriad campaigns to help end the stigma of all mental health problems, including addiction. While public health agencies are usually the spearheads of such movements, several household names have chosen to use their position in the spotlight for good. For instance, the Olympic Gold Medalist Michael Phelps has been working tirelessly to help others get the assistance they require. Overseas, British royals have become vanguards of mental health awareness. Each year, hundreds of global society leaders meet in Davos, Switzerland for the World Economic Forum Annual Meeting. Prince William, second in line to the throne of Great Britain, chose the annual forum to implore some of the most influential individuals to join the effort in ending the stigma of mental illness, The New York Times reports. At the event, he brought to light how silence is handed down by preceding generations. He said that silence about mental health is common among his parents’ and grandparents’ generations. Prince William believes that staying quiet about mental illness is no longer the path. Along with his wife Catherine and brother Harry, the future king of England launched the Heads Together campaign, according to the article. They hope that world leaders and celebrities will support the effort to break the pattern of silence linked to mental health conditions. While William and Harry do not have any known history with alcohol or substance use disorder, they have had struggles with their emotions. Their issues stemmed from their trauma of losing their mother, Diana, Princess of Wales; and, that due to the culture of silence, they both struggled with talking openly about their problems. Prince William said his trauma resurfaced when he served as an air ambulance pilot. Hopefully, world leaders will answer Prince William's call to break the pattern of stigma, once and for all. At Hope By The Sea, fighting mental health stigma and encouraging all who require assistance to seek help is a priority. Recovery is possible; please contact us today if you or a loved one is struggling with addiction and co-occurring mental health disorder.